Texas Senator Ted Cruz on Friday defended Chick-fil-A after San Antonio blocked the eatery from opening a location at the city's airport. Councilors cited the restaurant's “legacy of anti-LGBTQ behavior” in narrowly voting in favor of excluding Chick-fil-A from a planned project at the airport. 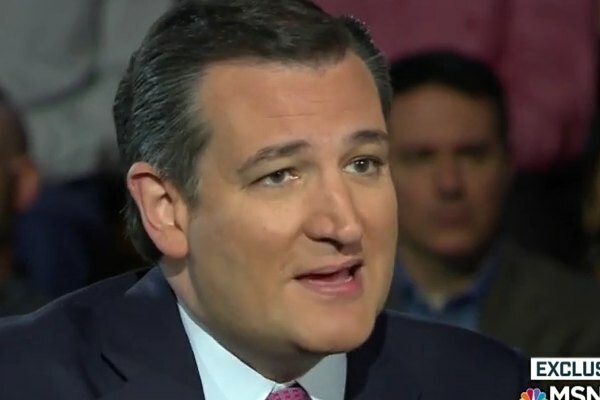 Cruz, an outspoken opponent of LGBT rights, criticized the move in a tweet. “The citizens of San Antonio deserve more delicious sandwiches, and fewer rabid attacks against companies because of their charitable giving to the community. Come on,” Cruz said. Chick-fil-A's charitable giving includes millions of dollars in donations to groups that oppose LGBT rights.